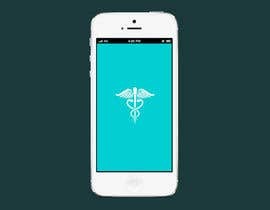 I would like just get a feel for your way of deign to see if we will be able to work together to design my website for my medical app. I want you to design just the homepage concept for the app. 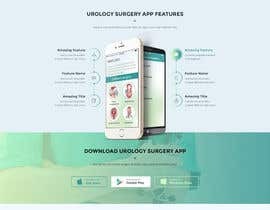 The app is for urological patients awaiting surgery and provide them all the information needed regarding their surgery. 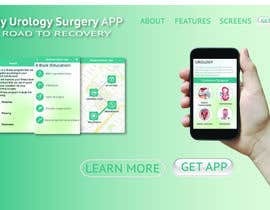 The app includes the major surgeries and has many anatomical animations to ensure the patients understand every part the information. The design only need to be a concept from which we can work. My feel for the app is the ROAD TO RECOVERY which I would like to travel with them. All they need to know regarding the surgery, from what it is, indications, types of surgery, possible complications and specific complications for the surgery. Patient will get a exercise program worked out for them. Here Bluetooth devices are integrated such as blood pressure monitor, pulse-oximeter, pedometer and glucose meters to ensure the patient can keep track of their general health and that they are in optimal condition for surgery. Stats can be mailed to their urologist. What they need to bring along, day of admission, theatre, ICU, ward and going home... All aspects regarding this are discussed. Exercises and information to ensure a speedy recovery after surgery. 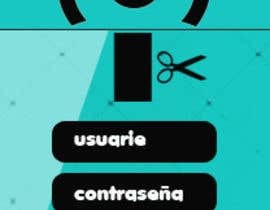 Please have a look at attached screenshots just for the colours and might give you an idea of what the app is all about. The design should be modern, clean and interesting!!!! If you need more screenshots where the animations are included please let me know. what you really need? 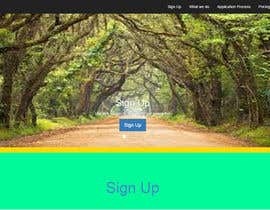 website design or app design ? do you have any logo ?